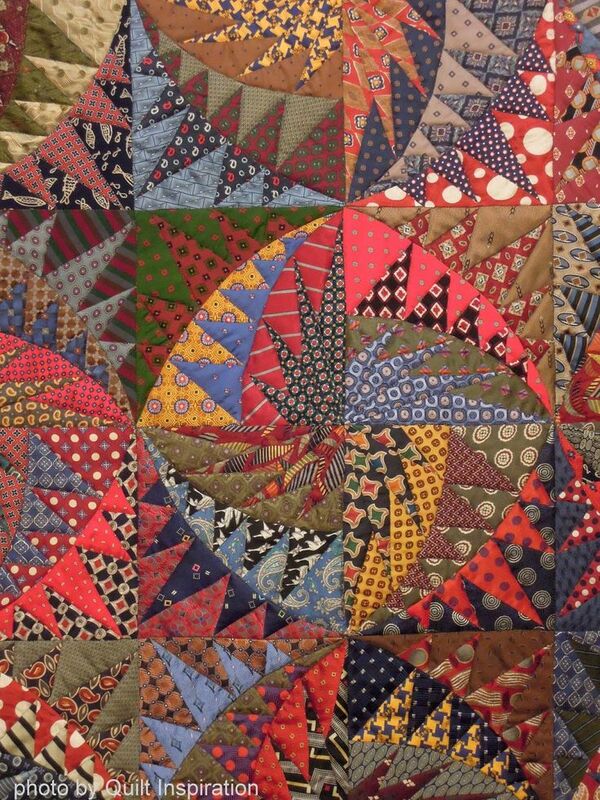 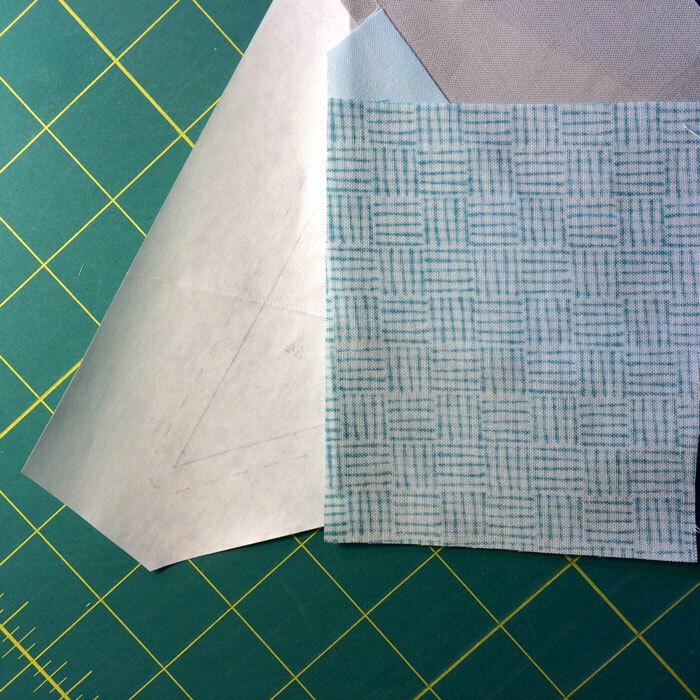 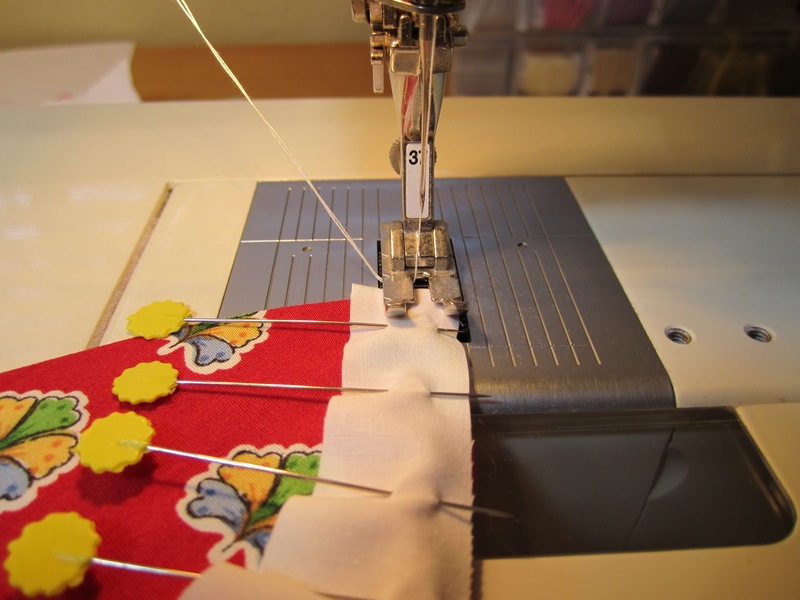 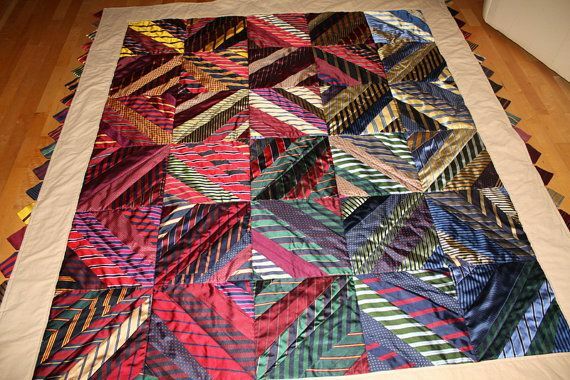 Without careful planning, a scrap quilt can quickly become dull and uninteresting. 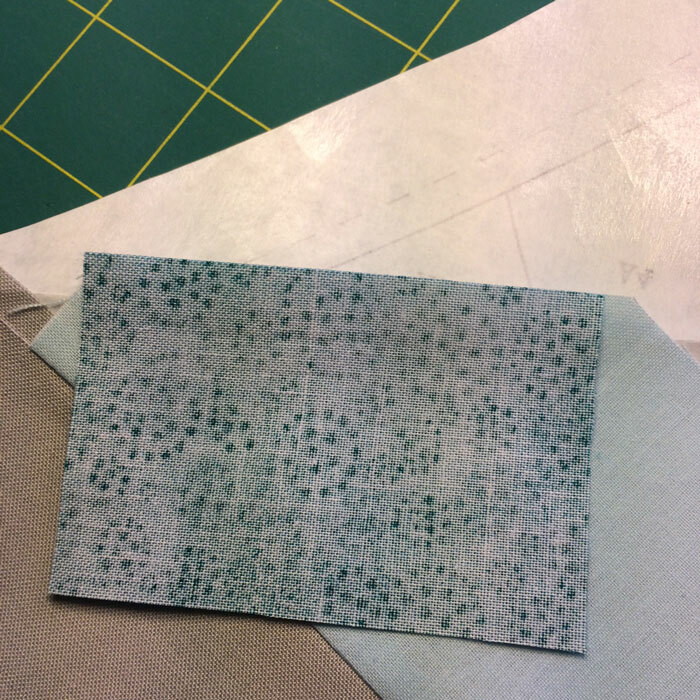 Care needs to be taken to balance light, medium and dark fabrics, and to choose a background that will enhance the colorful mix of fabrics. 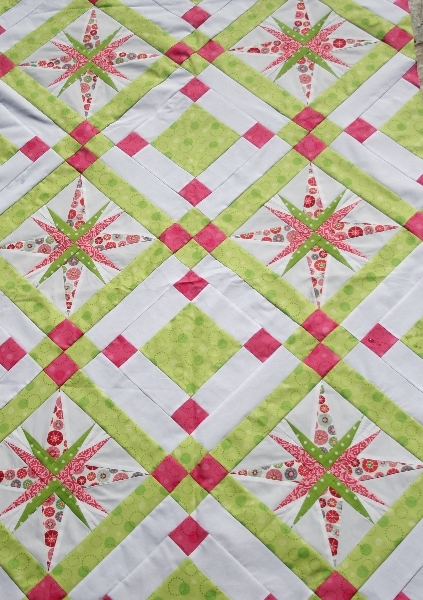 Use these techniques to make your scrap quilt sparkle. 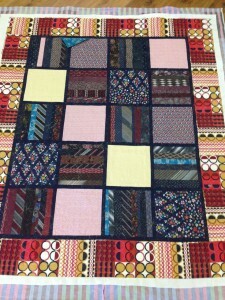 Choose a mood for your scrap quilt and stick with it. 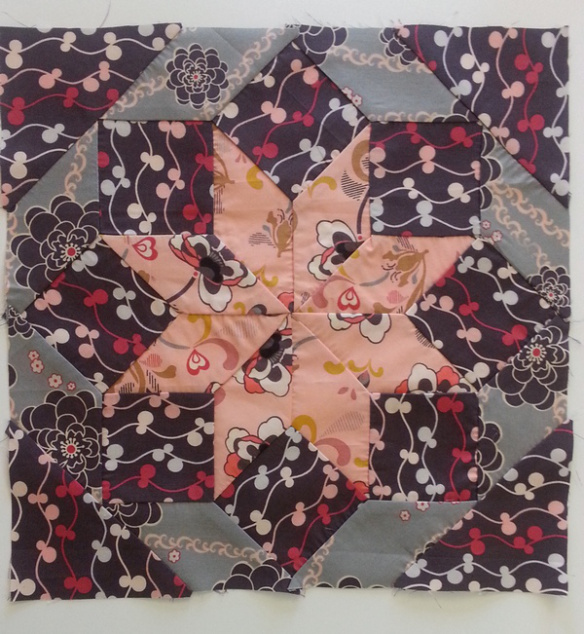 If you are making a quilt with an Autumn mood, use a variety of light, medium and dark fabrics that are in a warm color palette. 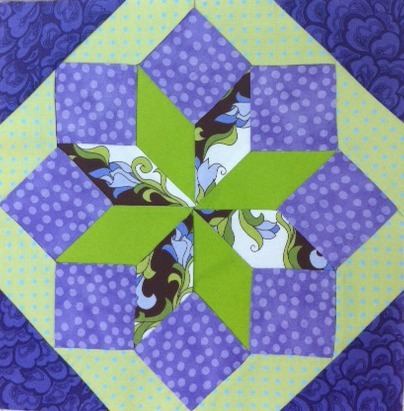 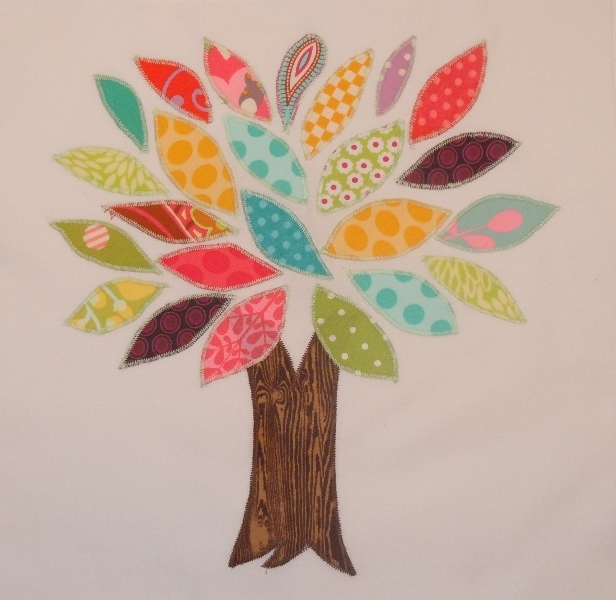 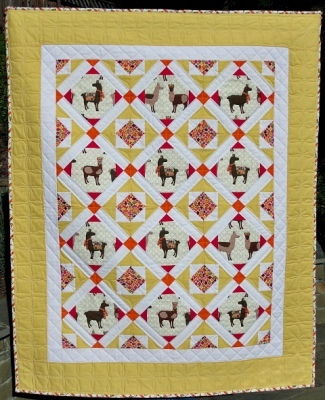 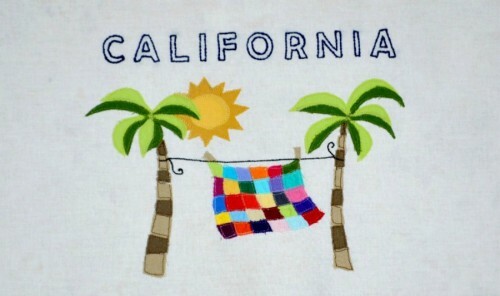 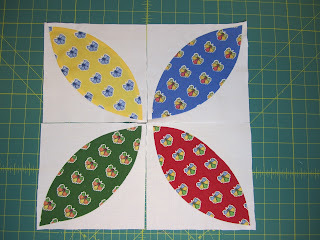 Use caution when including cool colors in this quilt. 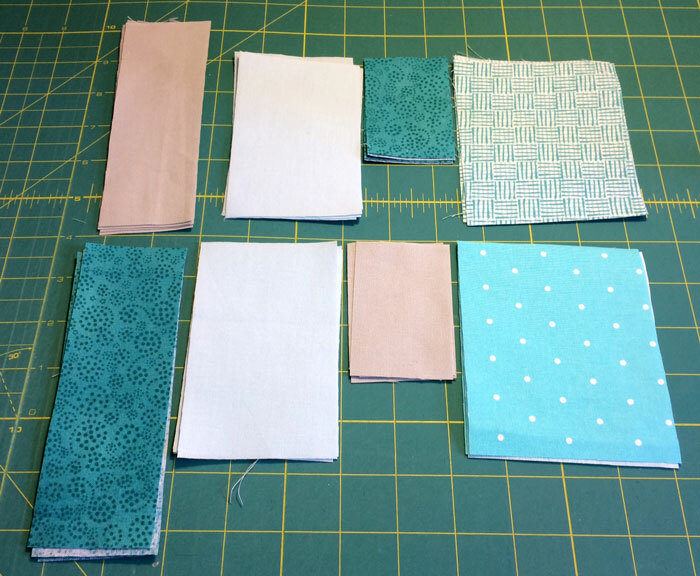 An occasional blue may be added for visual interest, but audition the fabric carefully and use these colors in very limited amounts. 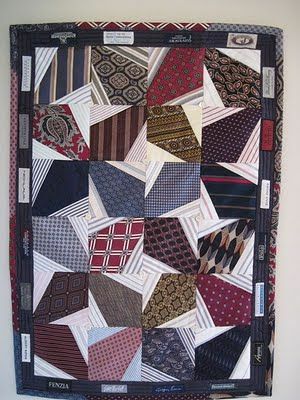 A scrap quilt with a Winter mood would include a variety of cool colors, with very limited amounts of warm color. 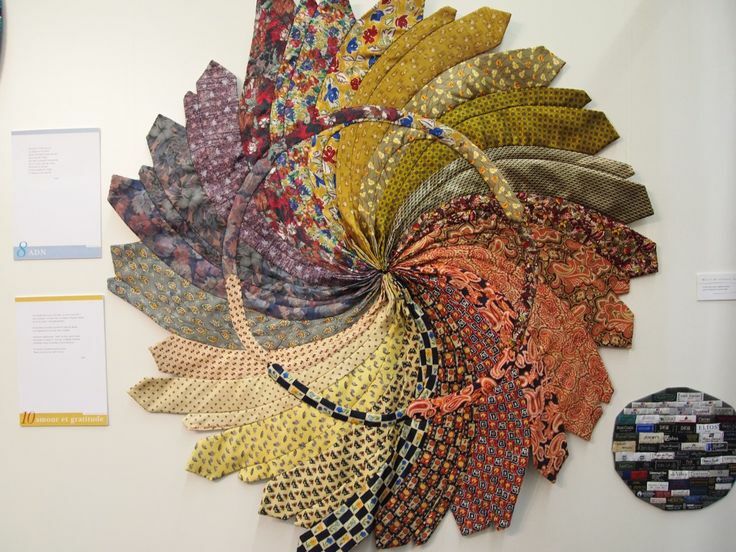 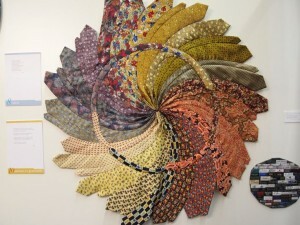 Using one strong, dominant color will help give a scrap quilt a pulled-together, structured look. 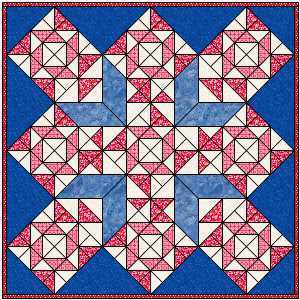 For instance, a quilt with a variety of star blocks will look coordinated if all of the blocks are made from a variety of light, medium and dark red fabrics with a neutral background fabric. 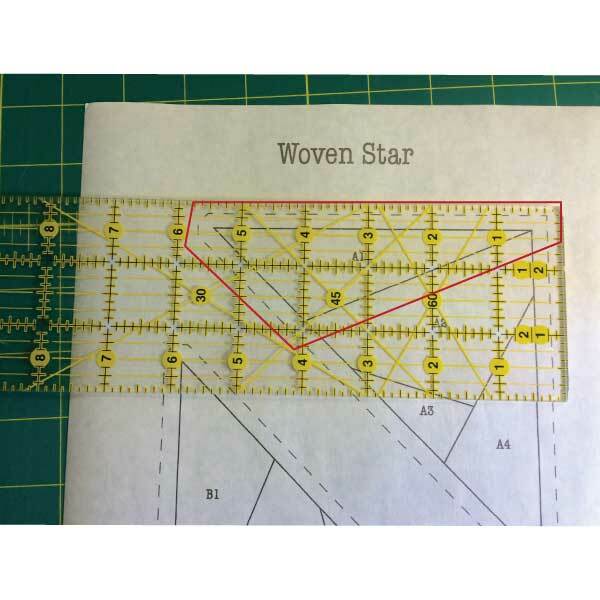 This makes the stars the strong point of interest, not the scrap fabrics. 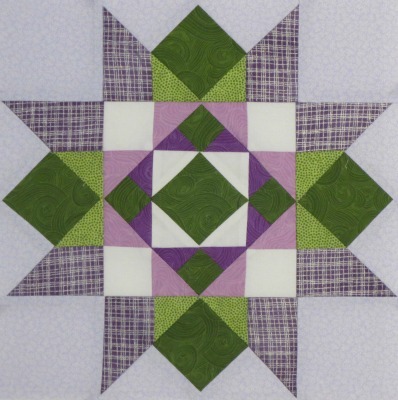 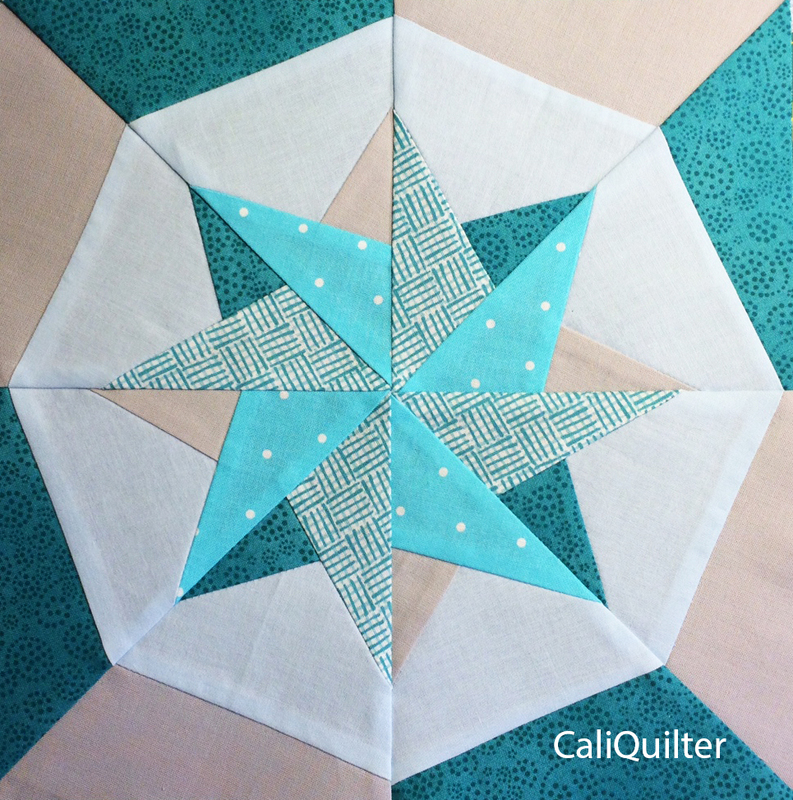 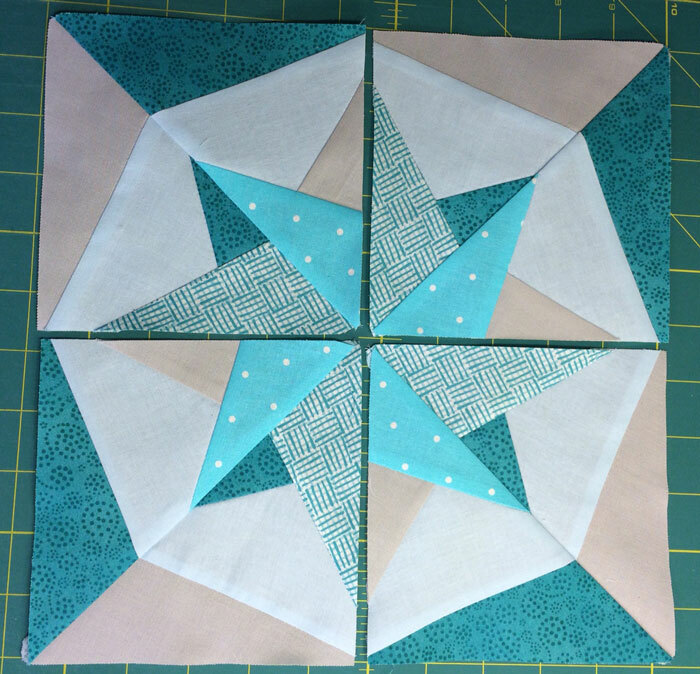 The variety of fabrics will make the stars visually interesting, and the neutral background color will ensure the star patterns dominate the quilt. 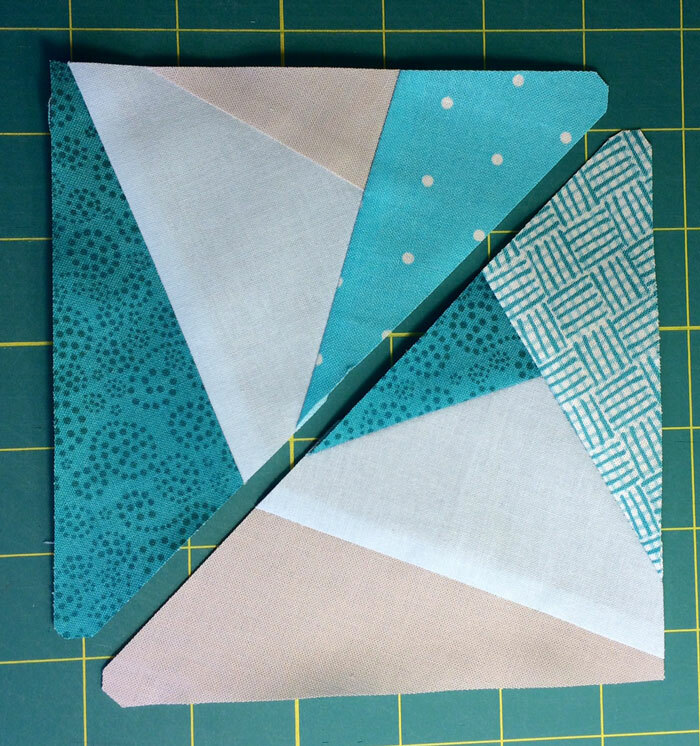 Choose one block pattern and make each block out of a different color theme. 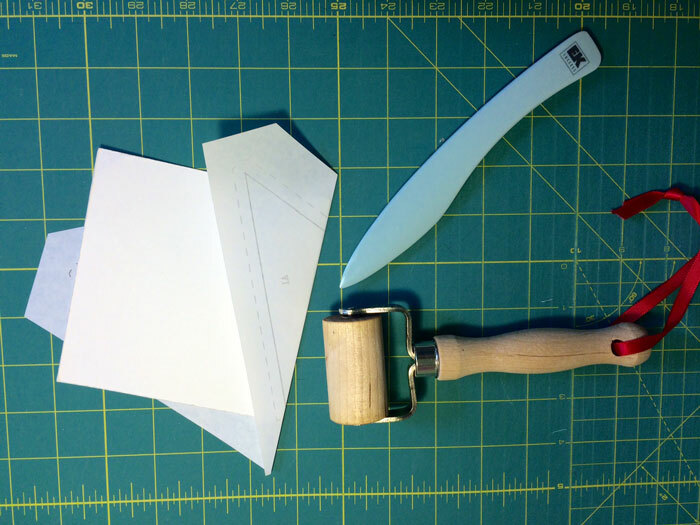 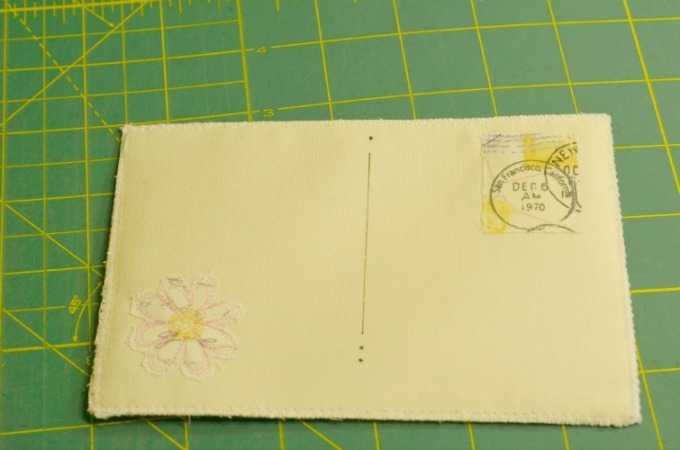 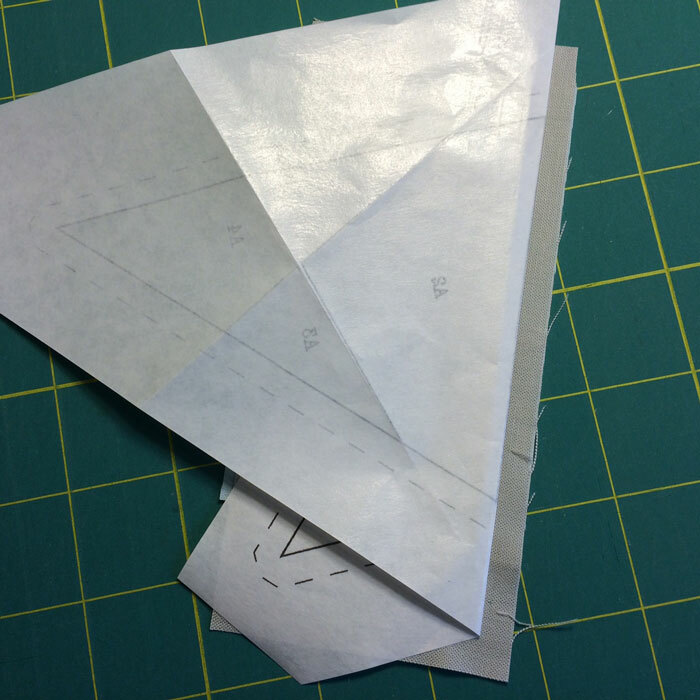 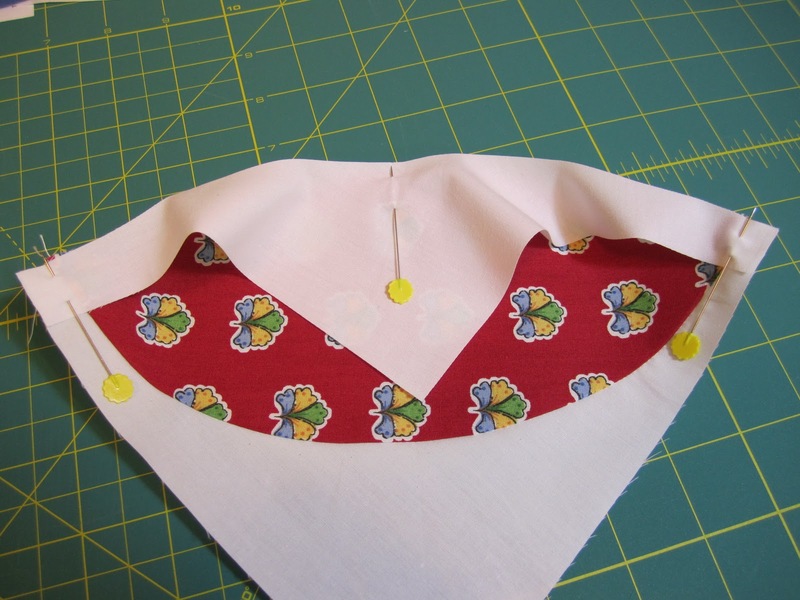 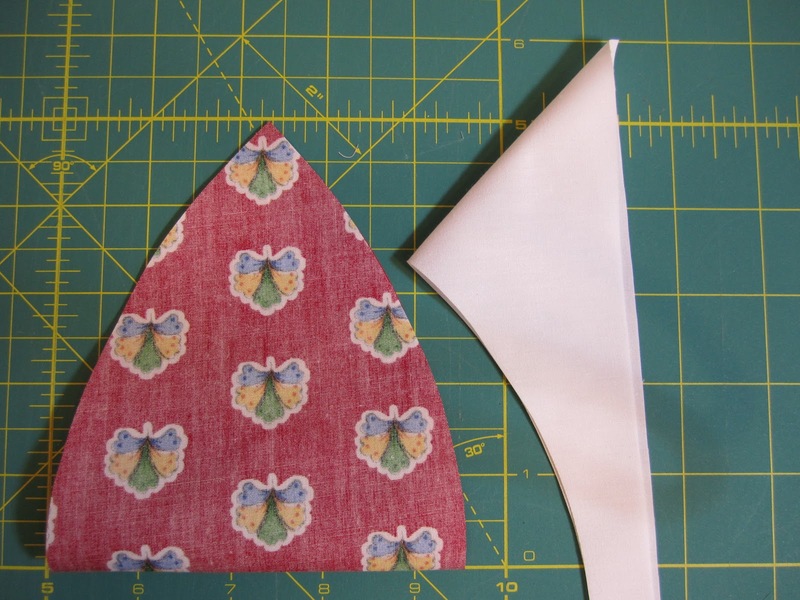 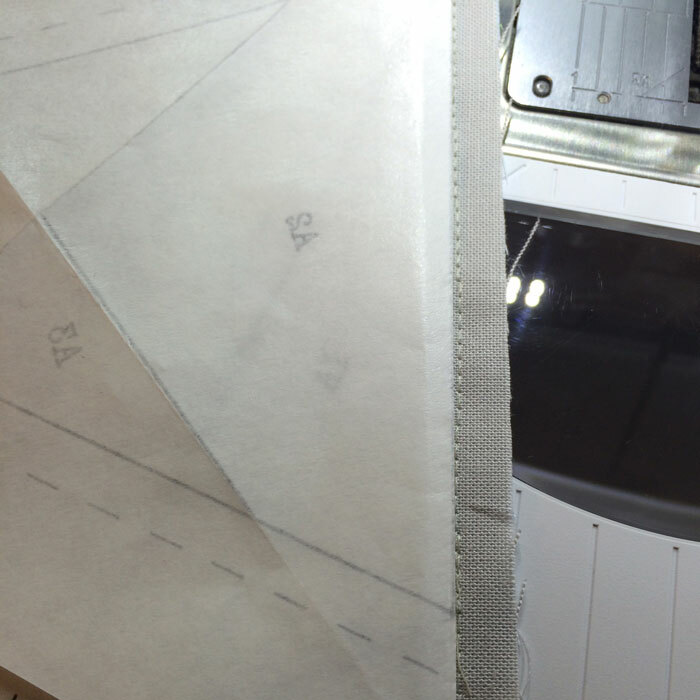 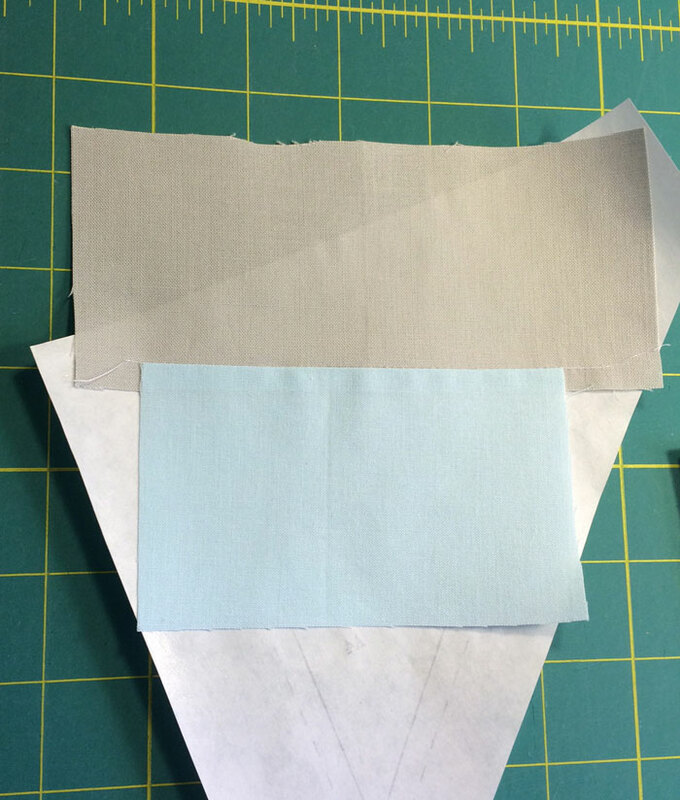 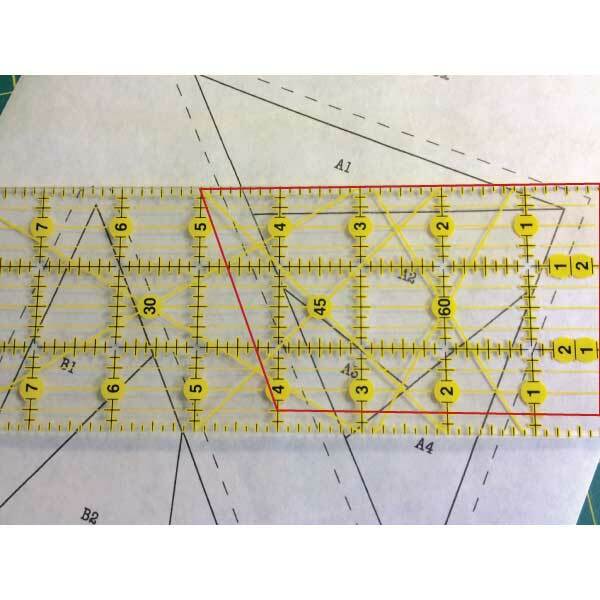 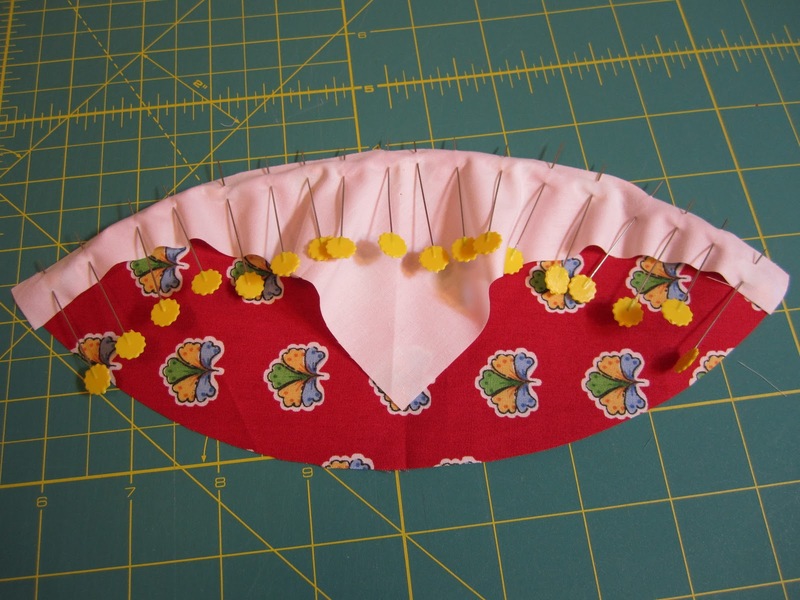 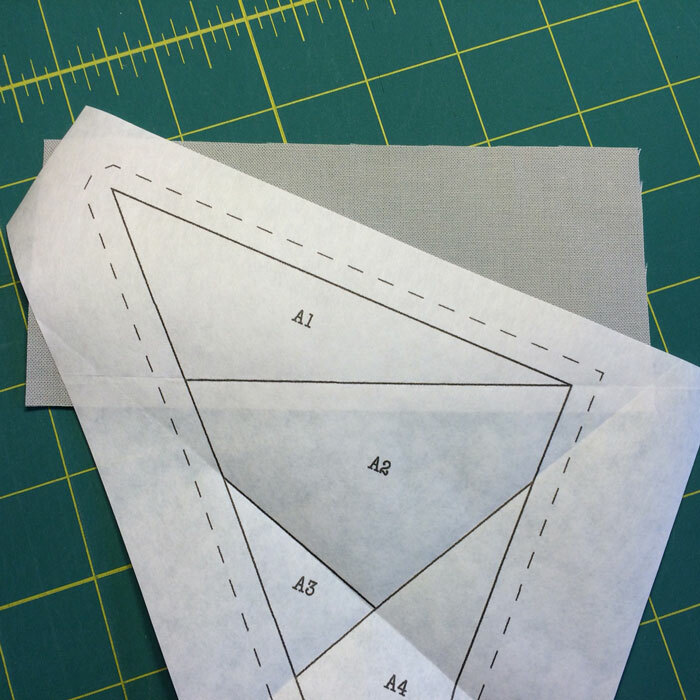 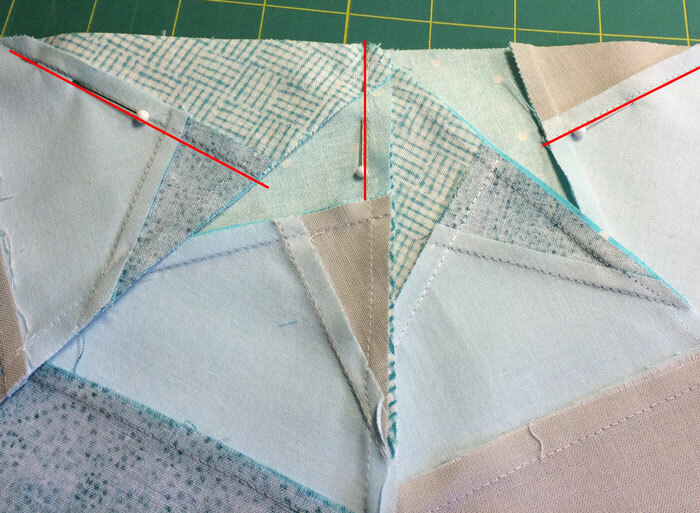 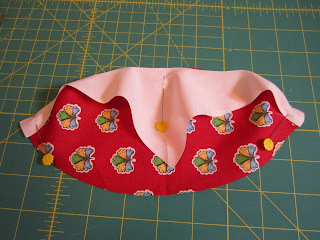 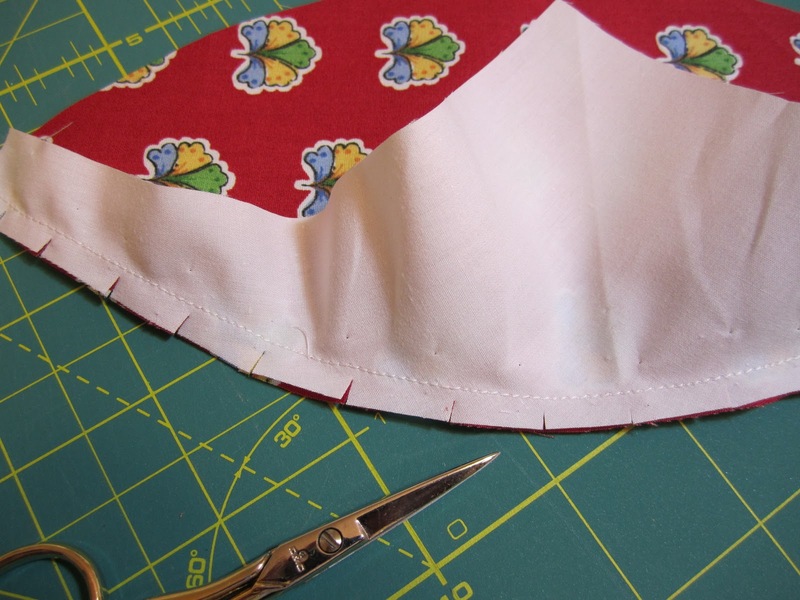 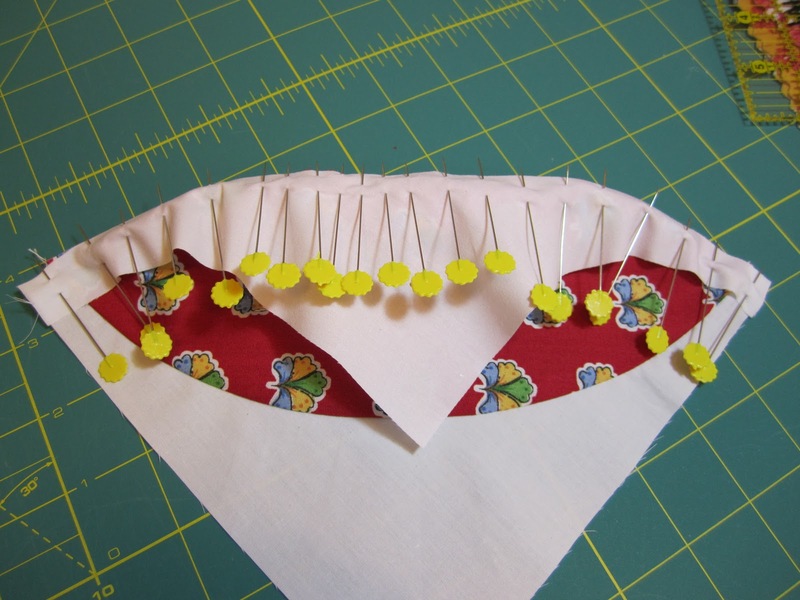 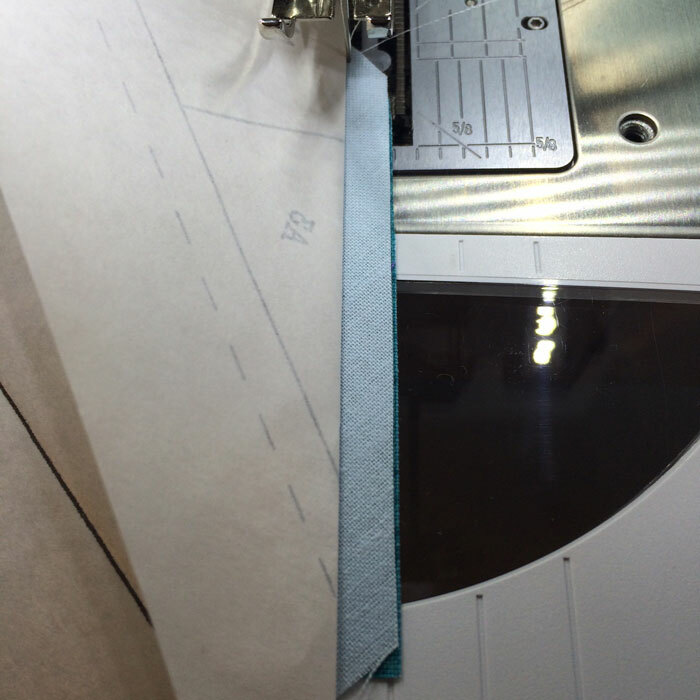 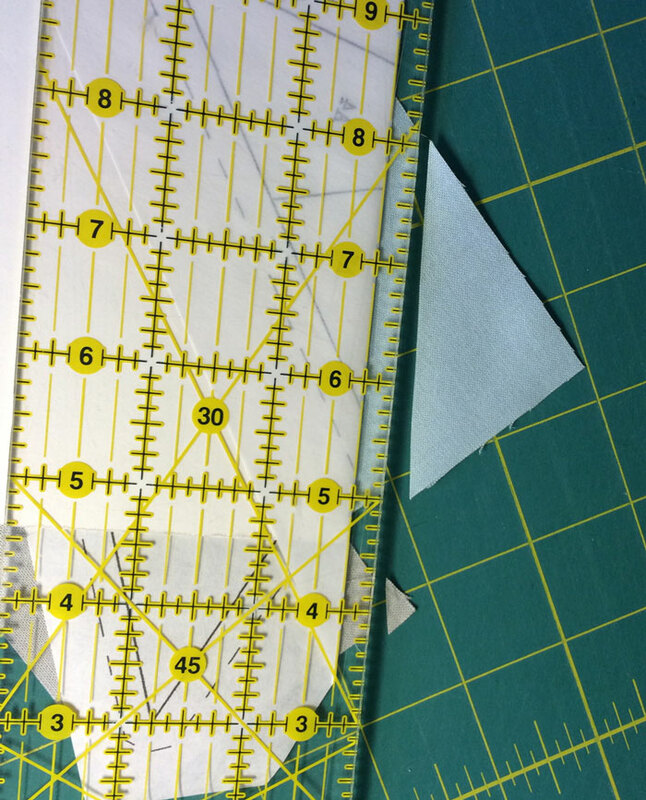 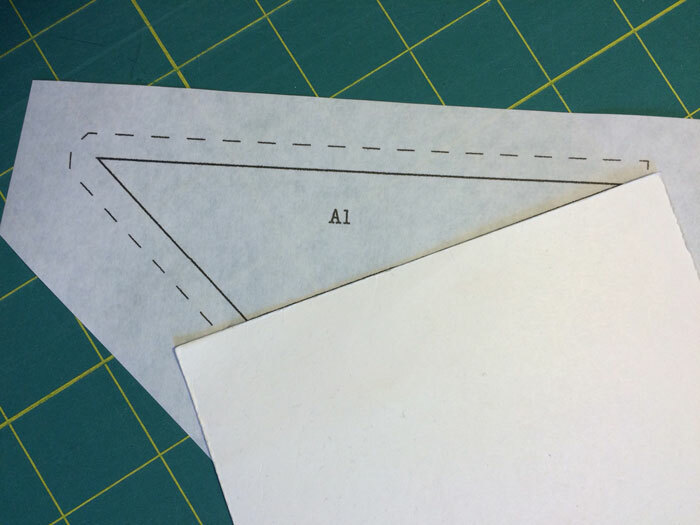 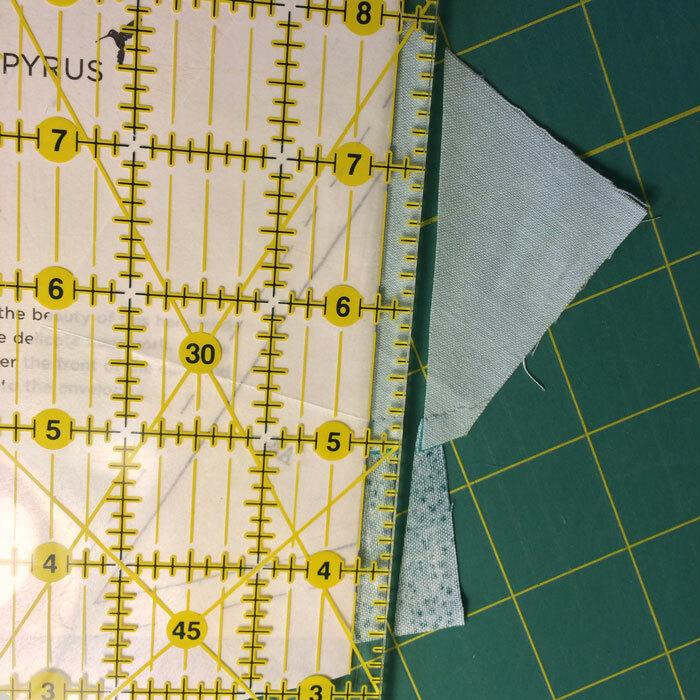 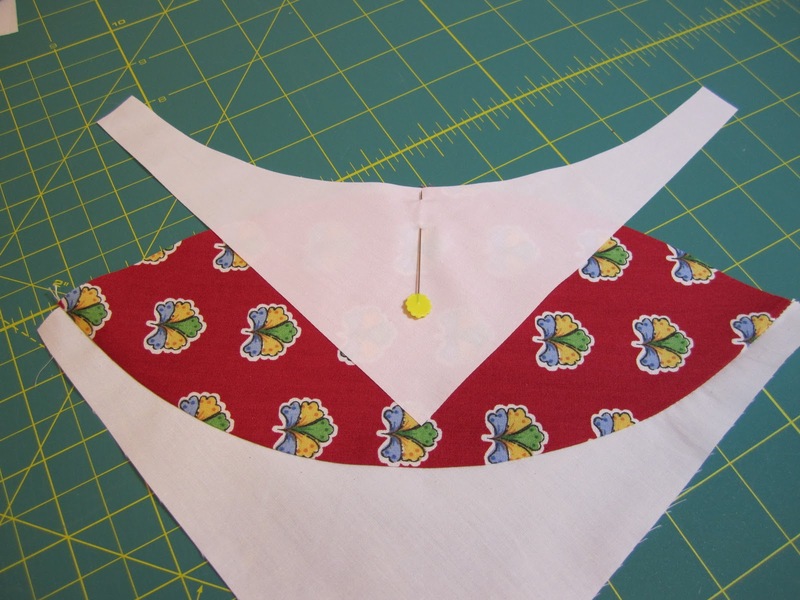 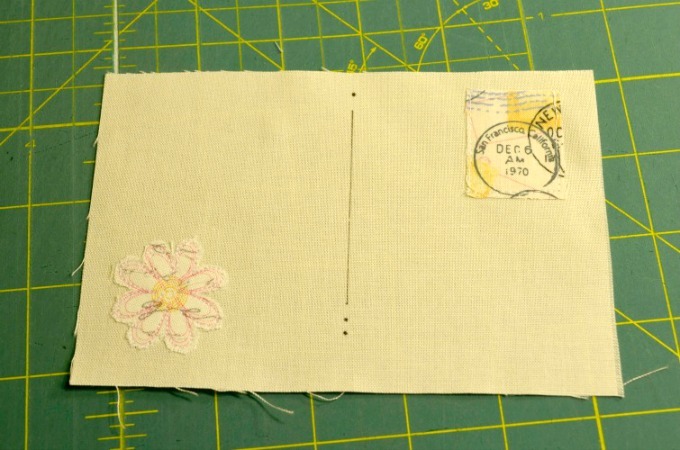 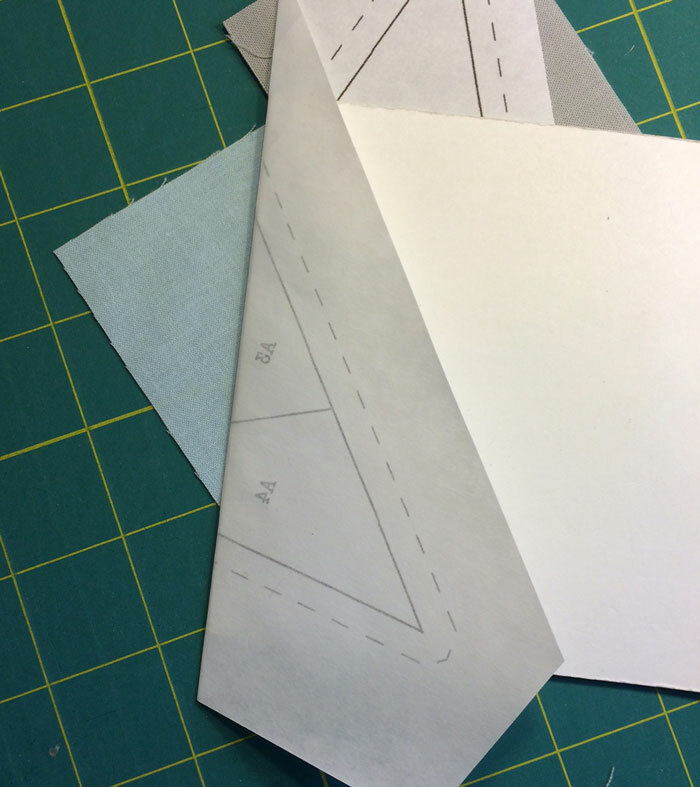 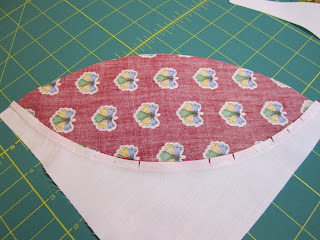 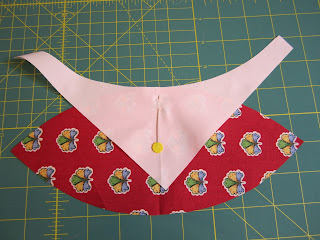 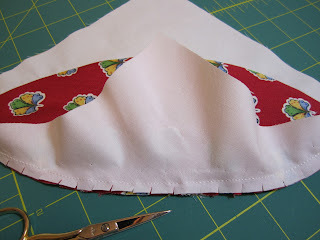 This is an excellent technique for structuring a very scrappy quilt. 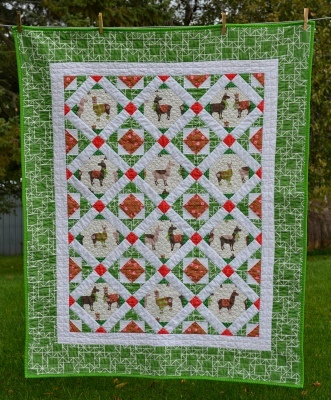 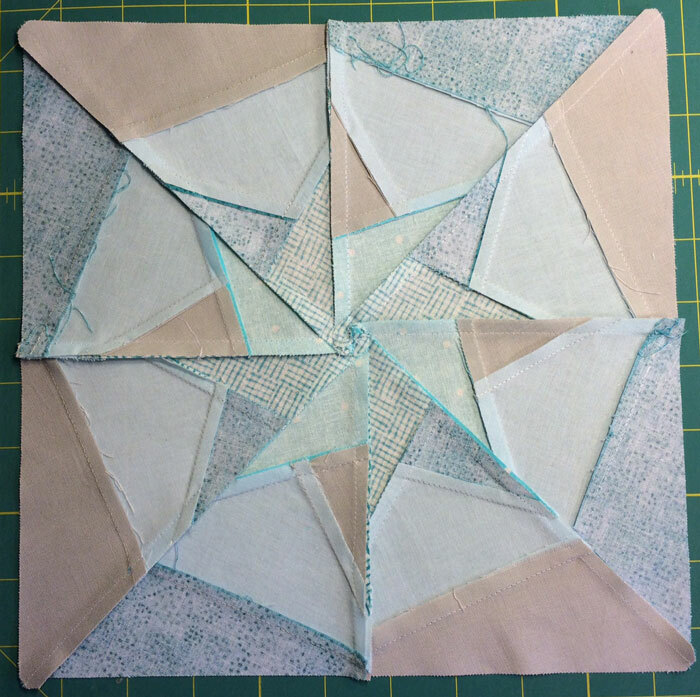 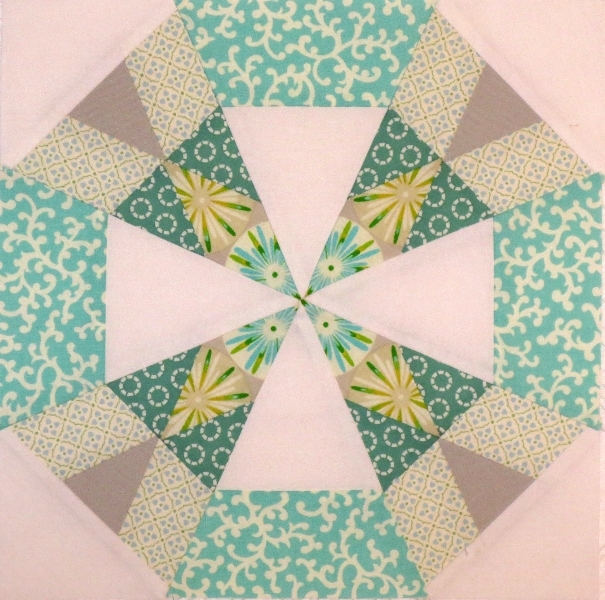 This quilt benefits from the use of the same neutral background color in each block to help calm the visual intensity of the multi-colored scraps. 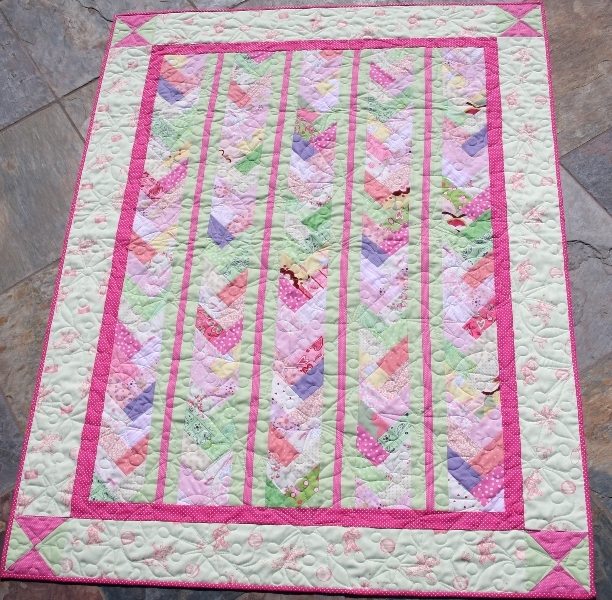 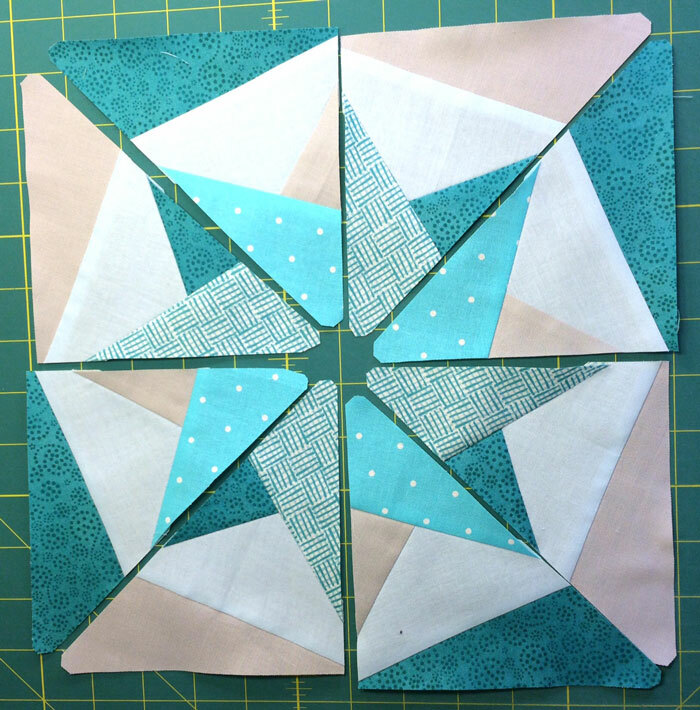 This scrappy quilt can also be pulled together by using a solid color sashing (a strip of fabric that creates a frame) around each block which will help unify the design. 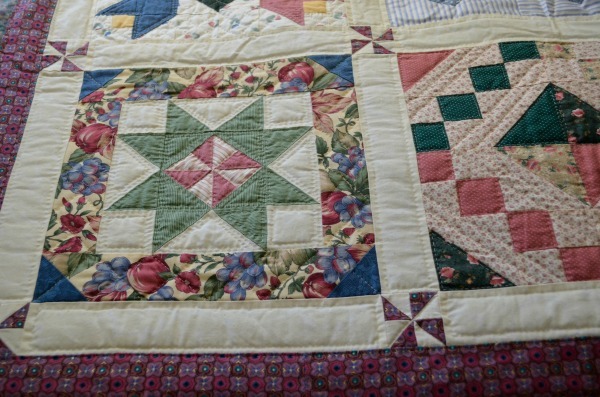 A scrappy quilt can lend a homey, warm appeal to a room. When making a scrap quilt that will be displayed in a particular room in your home, let the room décor help you choose the scraps to be used. 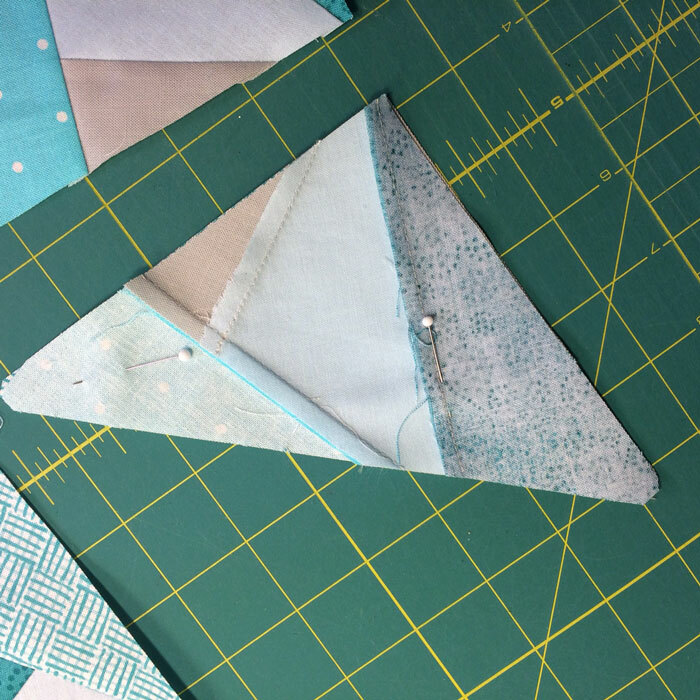 Choose scraps that coordinate with your wall color, carpet, and furniture in the room. 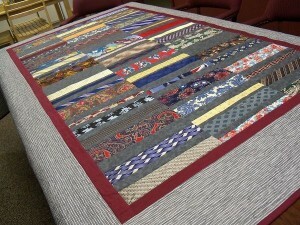 The finished quilt, while looking scrappy, will complement the room perfectly. 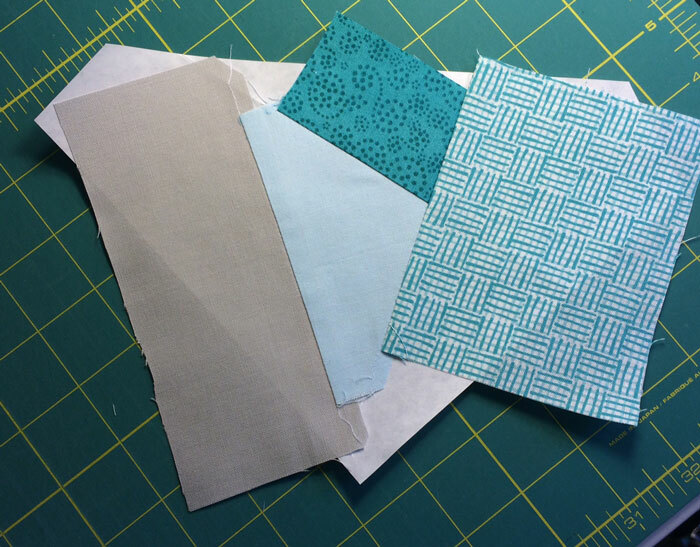 The value of a color (how dark or light it is) is a very important consideration when deciding which scraps will be placed together. 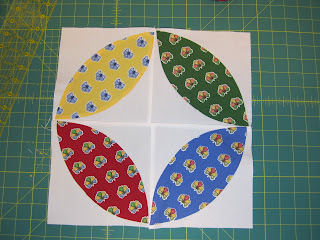 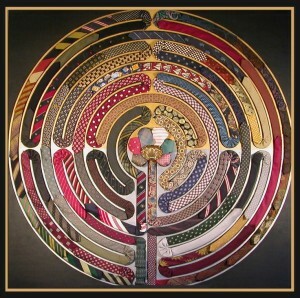 This is particularly important when you are making a quilt that features a single color palette. 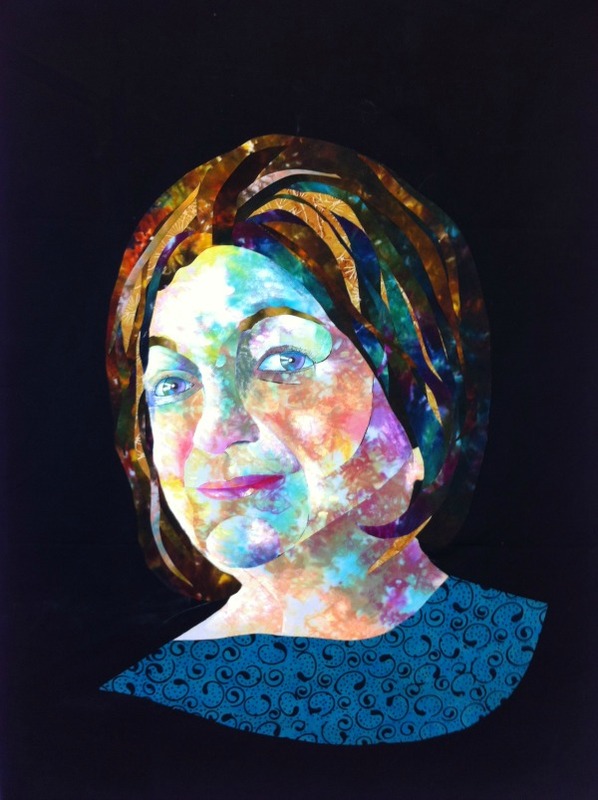 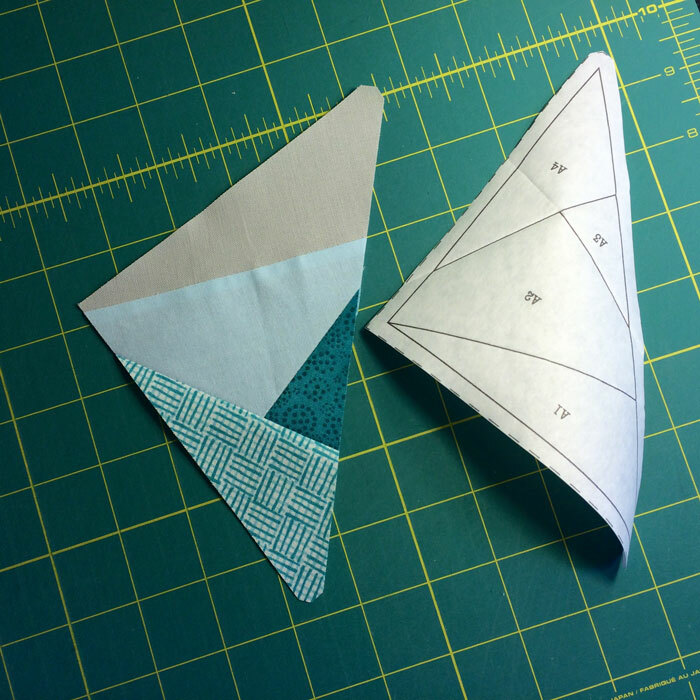 If you are making a quilt out of blue scraps, care needs to be taken to place a light next to a dark, or a medium next to a light, not two darks together, or two lights together. 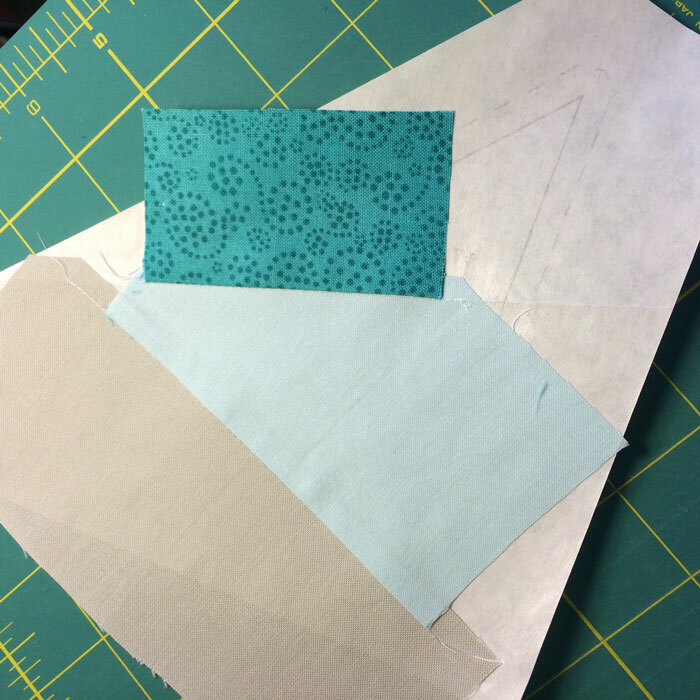 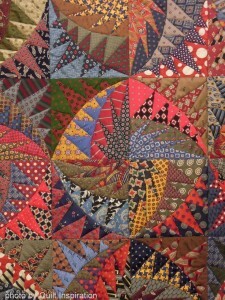 To make a quilt sparkle, there needs to be contrast between every scrap. 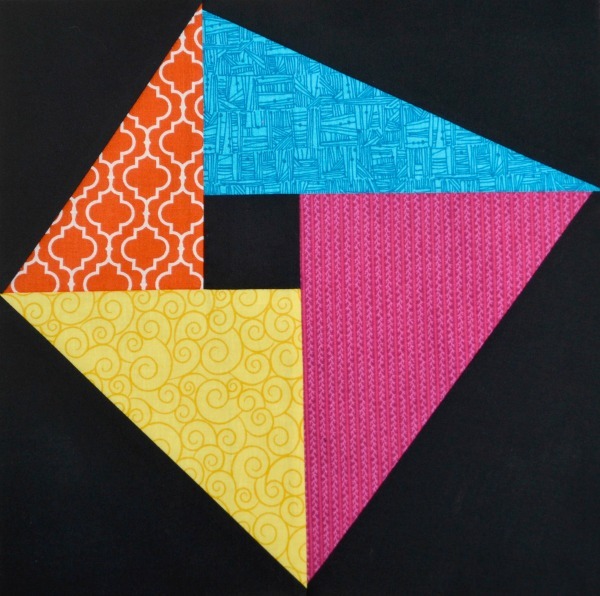 The greater the level of contrast in color, the more each piece will stand out against the next. 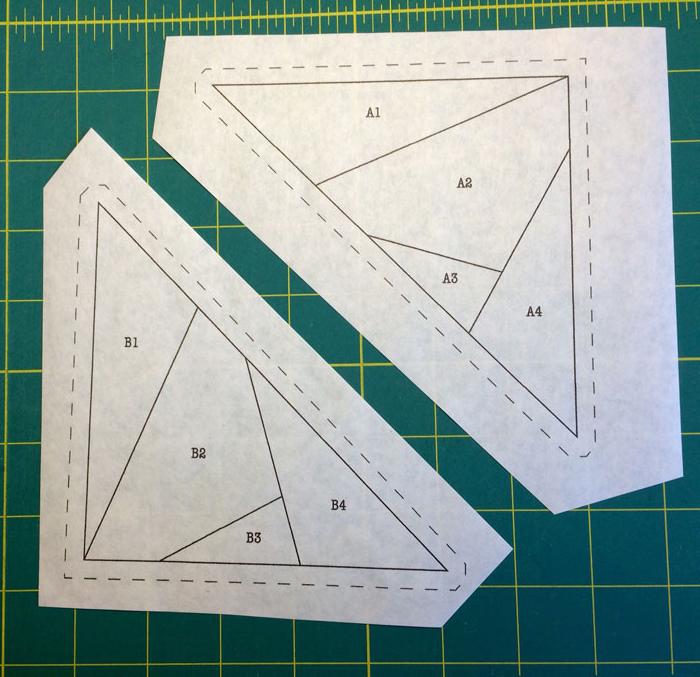 If two fabrics of the same value are place together, they will read as one piece, not two, which interferes with the block design. 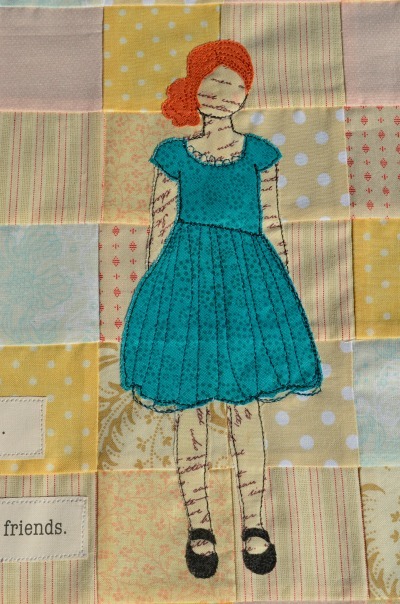 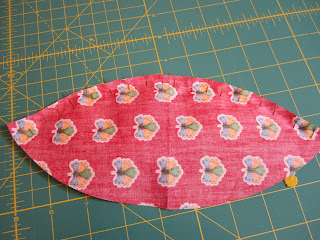 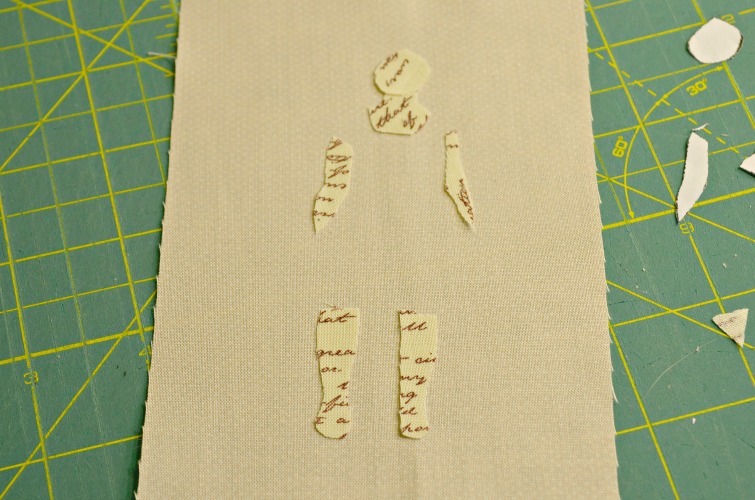 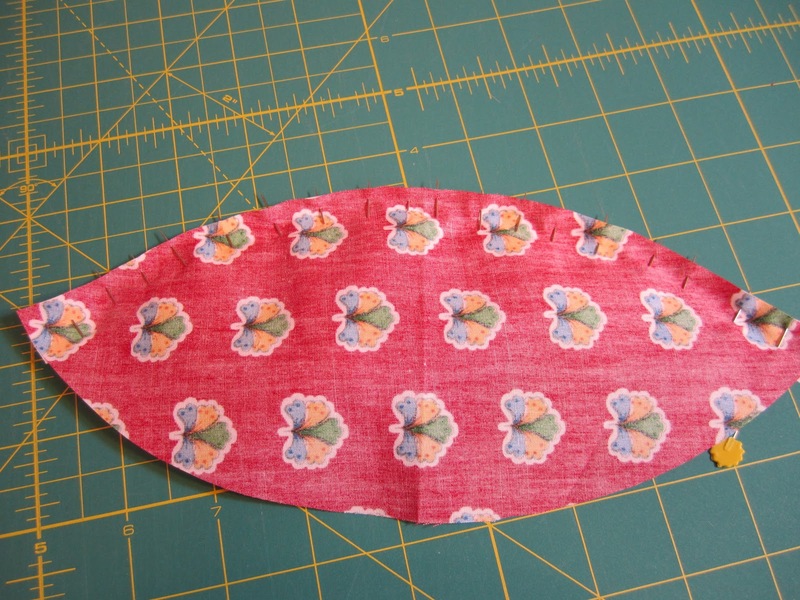 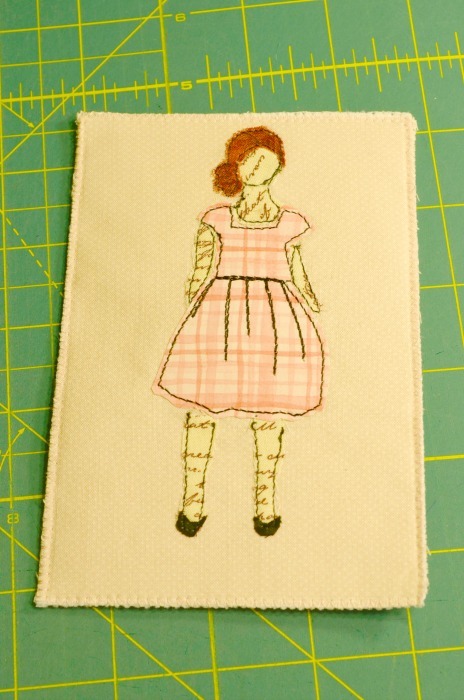 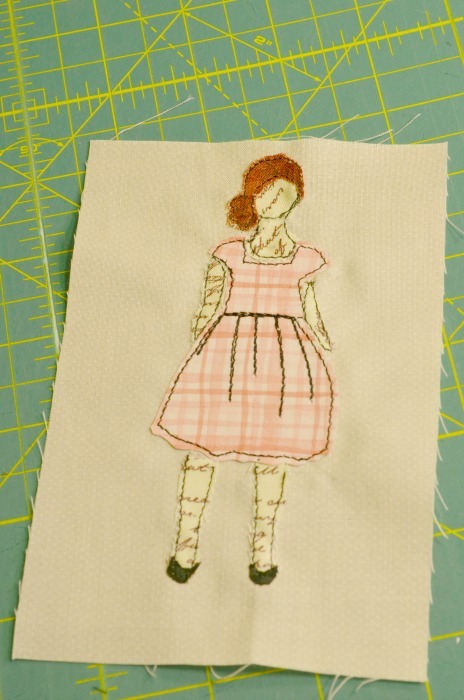 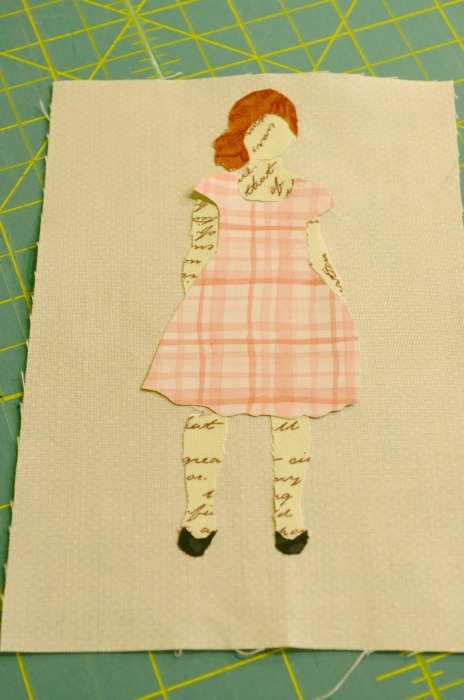 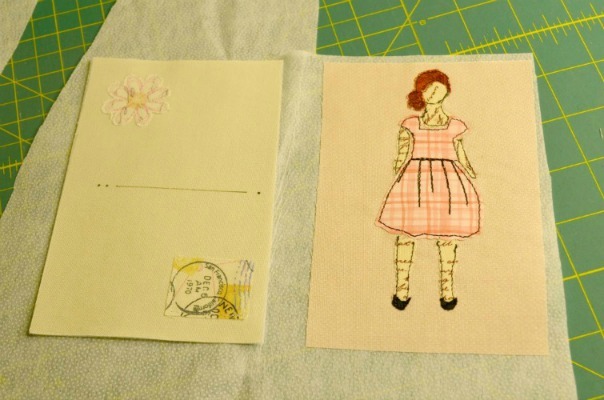 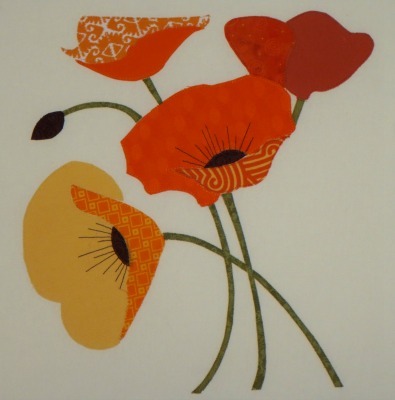 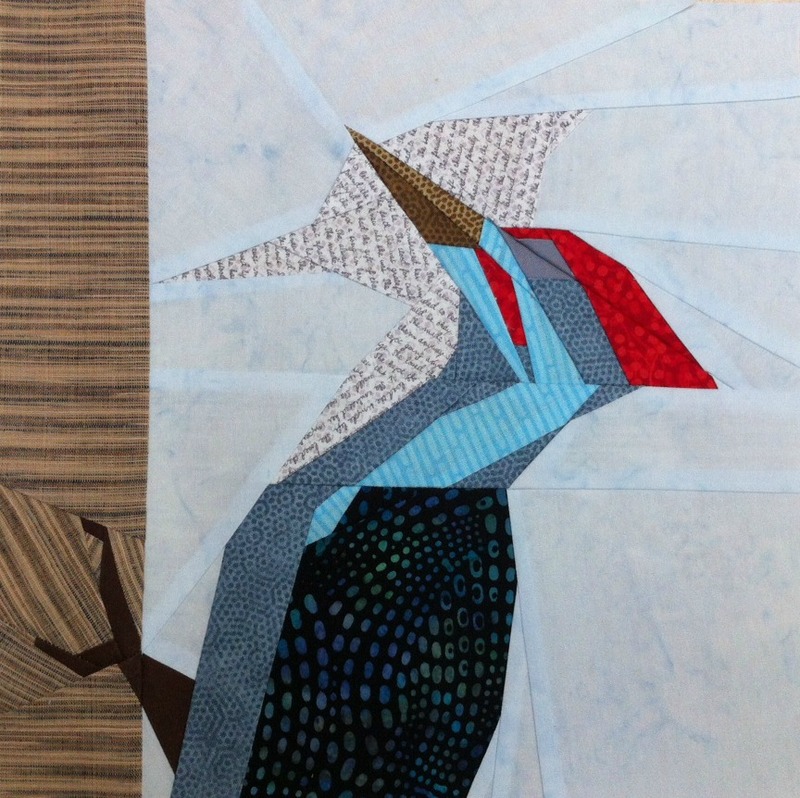 Make sure there is enough value contrast between your background fabric and your scraps. 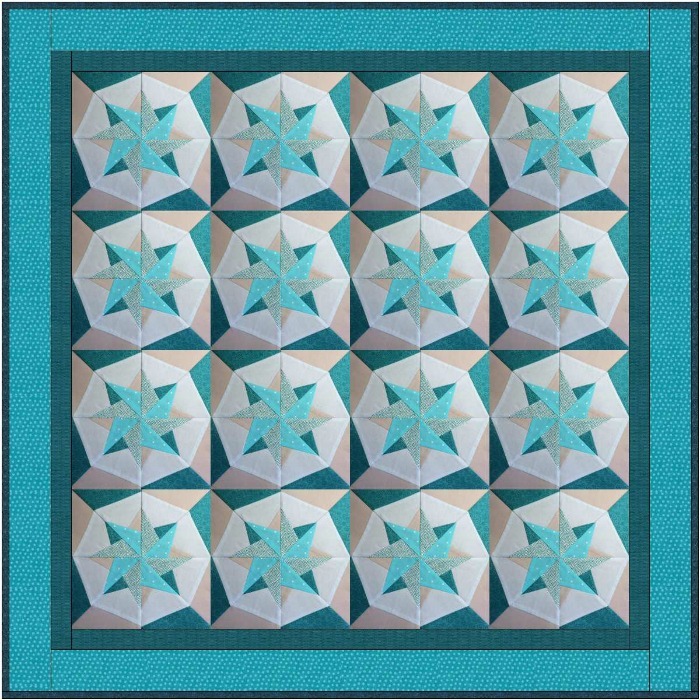 If they are too similar the block pattern will become interrupted. 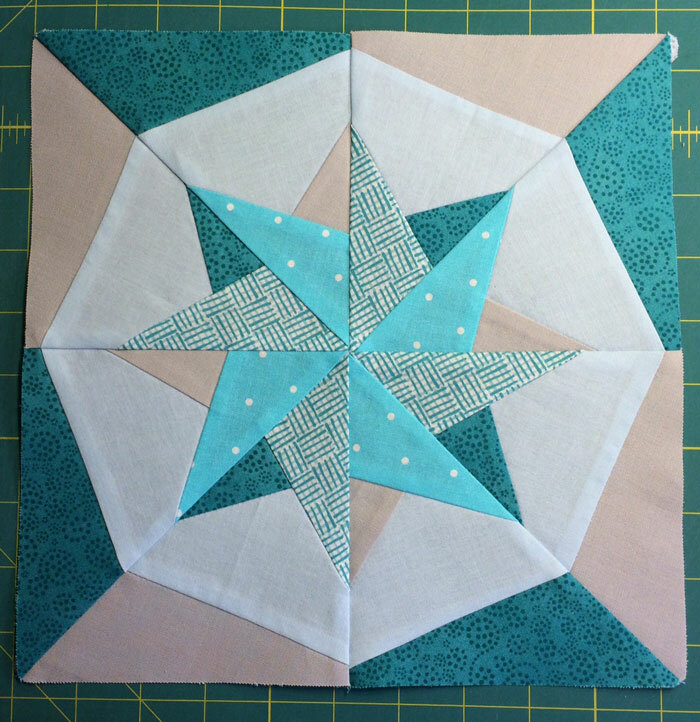 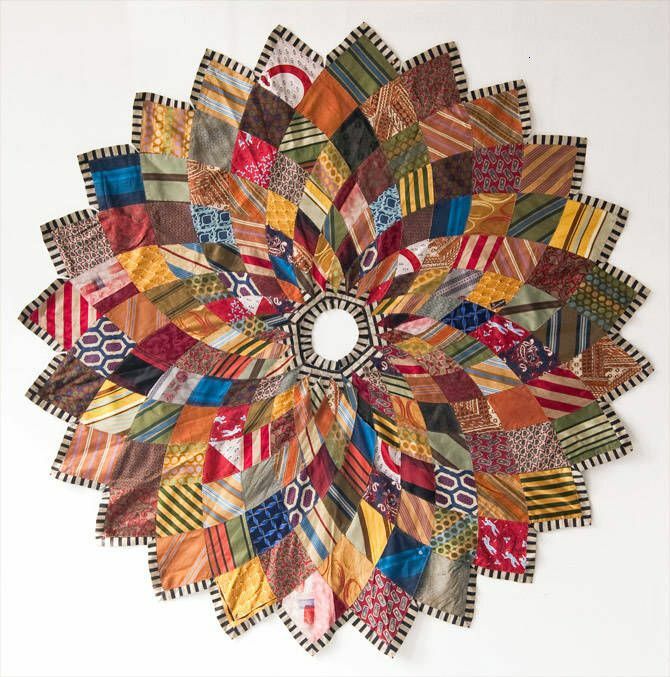 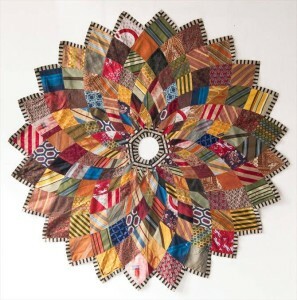 The most successful scrap quilts are made with off-white or other light neutral color, which allows the scraps to be the stars of the show.